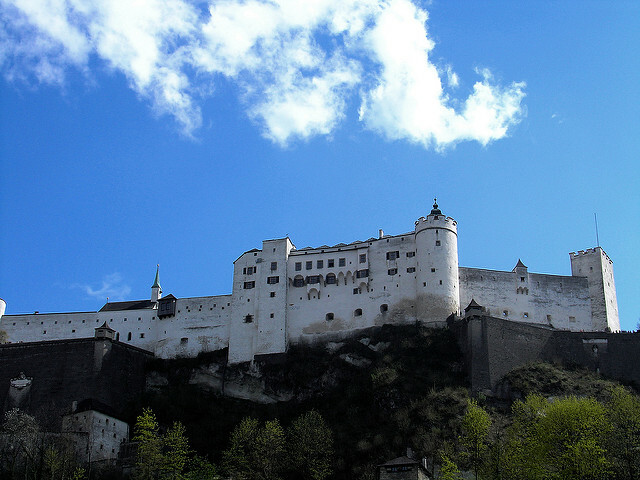 A real life symphony for the eyes, ears and taste buds, Salzburg is unlike other smaller cities in Austria. Crossed by the Salzach River with the medieval baroque city on the left and the modern 19th century city on the right. Salzburg is dreamy, historic and delightful, almost in a unique fairytale way. Its Musical Heritage is the main identity of the city. The city lives and breathes classical music and as a birthplace of Mozart, the city takes great pride in its most famous son and his music. You can experience his influence everywhere and this is another reason for me to fall in love with the city, as I am already in LOVE with Mozart. 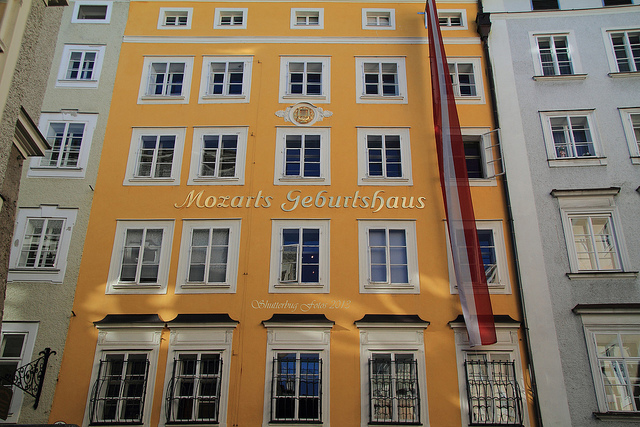 For Mozart enthusiasts, visit the birthplace of the musical genius and his house where he spent his childhood. 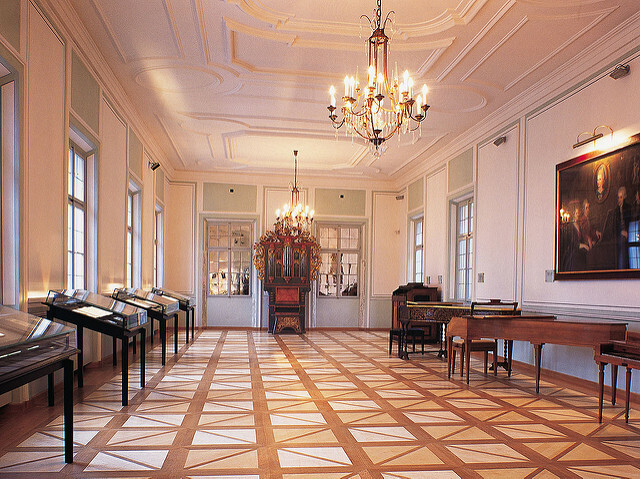 Mozart’s one-time residence is also a museum, where you can see the composer’s instruments, documents and family portraits. A beautiful palace set amidst a huge garden. It has the world’s most beautiful wedding hall, the Marble Hall of Mirabell Palace, as it’s very popular, reservations need to be made at least a year in advance. Also, don’t forget to check the Mirabell Palace for musical events, as it’s a special place, where you can enjoy a soul-lifting experience through the ambience and the music. This famous castle sits above the rooftops of the Baroque historical district. It’s also the largest fully preserved castle in Europe and should you wish to travel back in time, there are many musical events taking place in the castle at night. 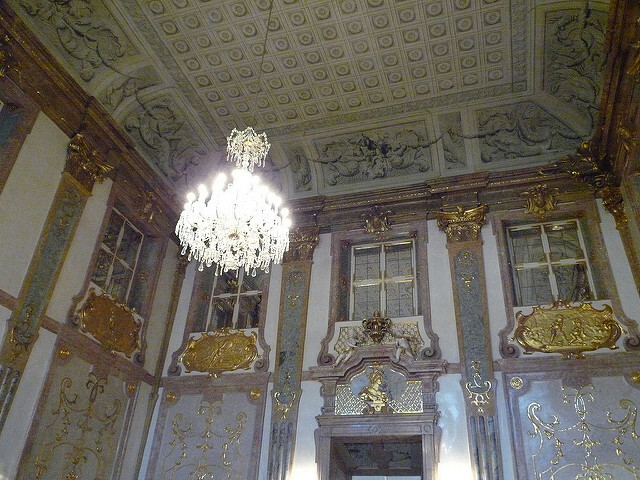 Enjoy an awe-inspiring hour when you visit this beautiful palace in the old town. Expect lavish decor, elaborate interiors and domes hung with extravagant chandeliers and Parisian mirrors. For art-lovers, the palace brings together over thousands of art pieces. 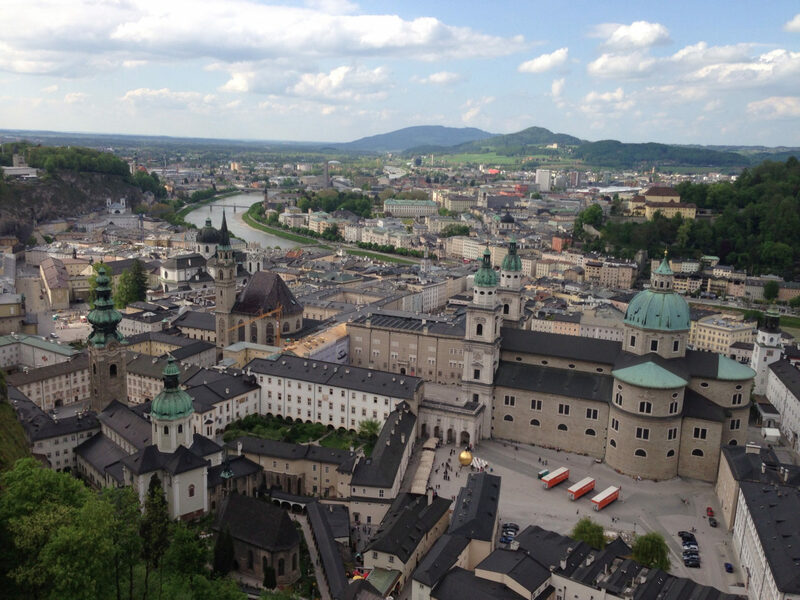 Towers and domes dominate the Salzburg skyline and the city was also named the city of churches, so do stop by the Salzburg Cathedral, where Mozart was baptized and St. Peters Abby. 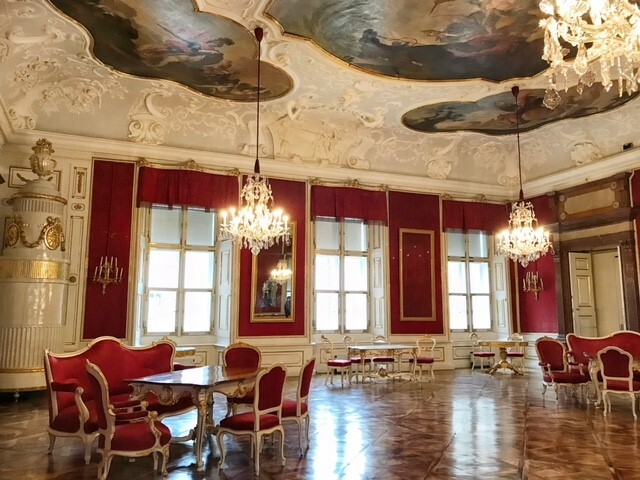 A marvelous palace from the baroque era with a unique architecture, now converted into a casino offering a wide selection of games. Two main shopping experiences, you just can’t miss. Getreidegasse, a UNESCO World Heritage Site since 1996 famous for exclusive crafted items. The annual Christmas Market (Christkindlmarkt). Try the Salzburg Nockerl, the city’s specialty dessert but I’ll tell you, the real treat is their sublime chocolate, it’s way better, trust me. Mozartkugeln (Mozart chocolate balls) are chocolate-covered marzipan candy balls enclosed in a wrapper with a picture of Mozart. Be aware though, there are many other mass-produced bonbons with the same name, but they are not genuine. 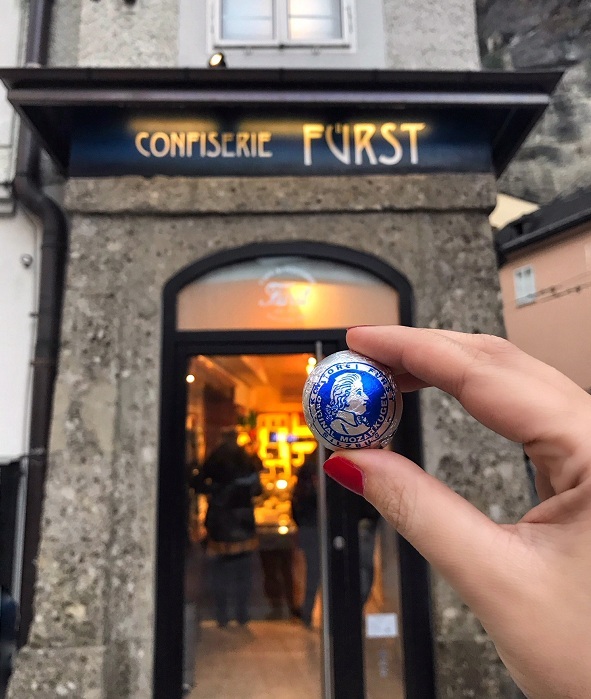 You can find the original version at Café Fürst and also sample many other handmade truffles and chocolate with different fillings. 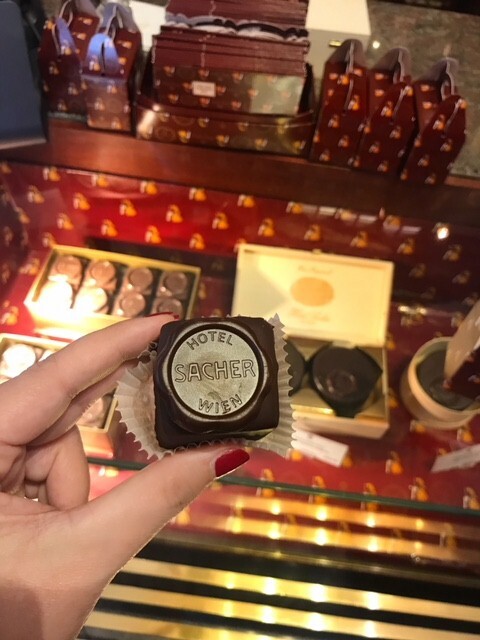 You can’t be in Salzburg without crossing paths with a Sachertorte, whether at the Hotel Sacher, Sacher Café or other specialty cafés. 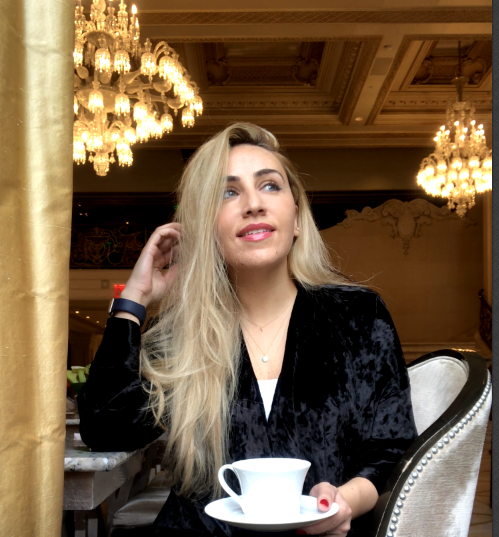 I tried it at the Hotel Sacher, an exquisite place to try the original Sachertorte (the country’s most famous chocolate cake). And, yes it was amazing! You can also find it at the Sacher Confiserie next to the hotel. 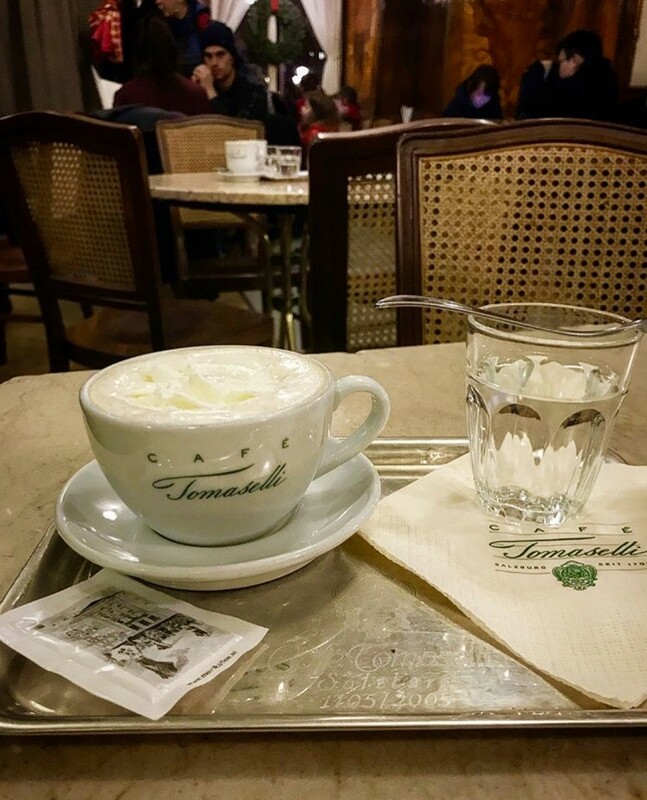 You’ll find many café terraces located at the Salzach, the most famous of them is Tomaselli. Here, you can enjoy 300 years of coffee making tradition in an elegant setting. 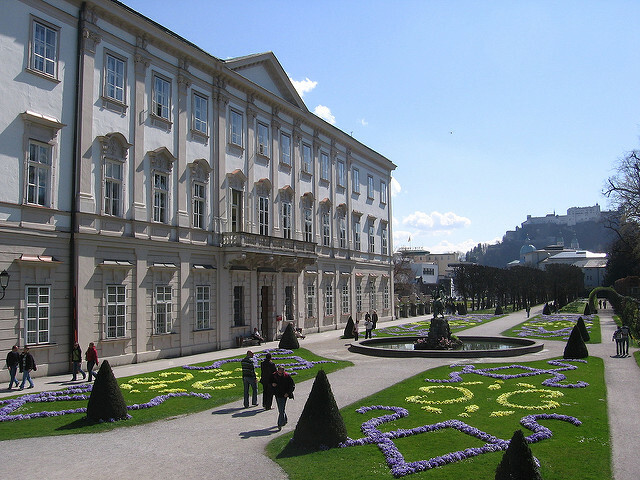 It was Mozart’s favorite café in Salzburg and founded in 1705. 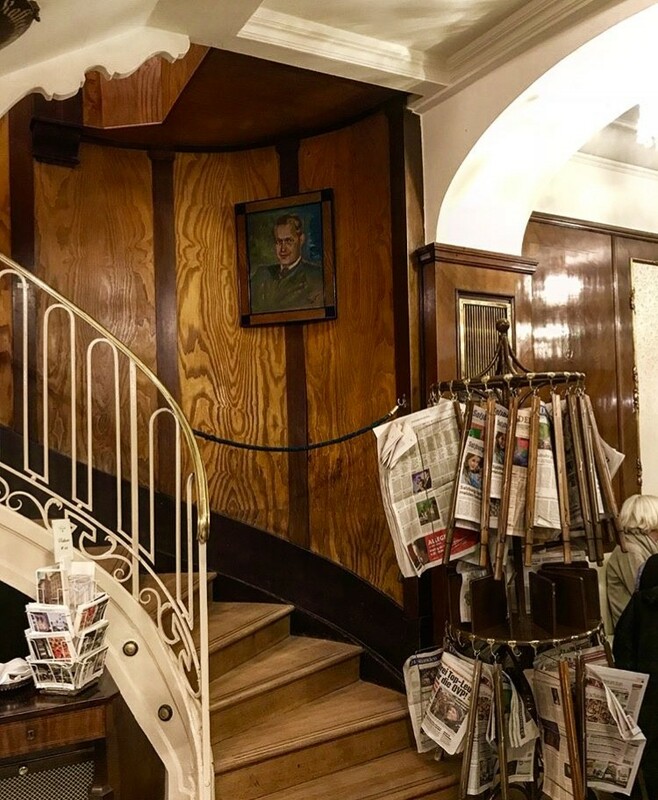 I loved the vintage decor and the Newspaper Rack. 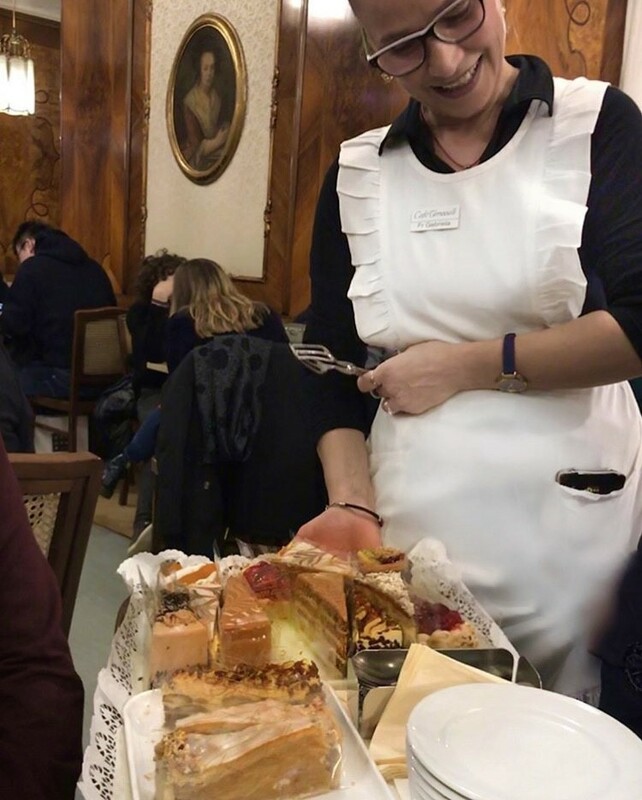 You can order tempting pastries from their large selection of freshly baked goods which will brought to you by the Kaffee Dame (Cake Maid or Coffee Waitress). Note: I tried the Nockerl but if you really have a sweet tooth and not into the egg soufflé taste, stick to my recommendation and indulge yourself in chocolate heaven. 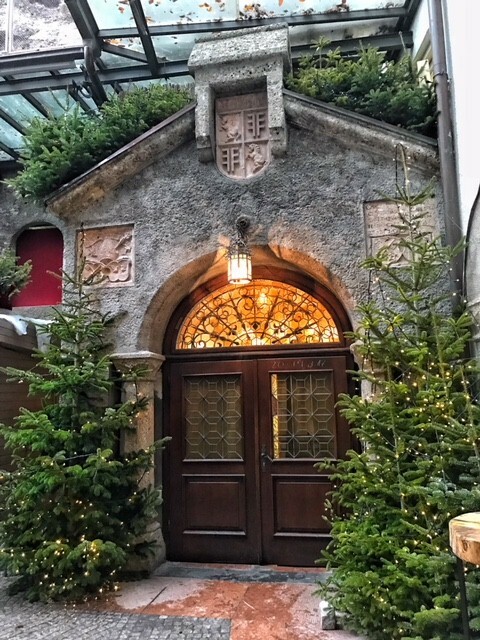 One last experience, I would like to mention is dining at the St Peter Stiftskulinarium, it is the restaurant within the walls of St. Peter’s Abbey and it’s claimed to be the oldest existing restaurant in Central Europe with 1200 years of tradition. Experience the amazing banquet with their speciality food and wine series and you’ll be become a guaranteed Salzburg connoisseur. 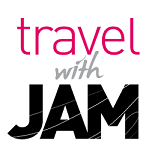 I am signing off here but would love to hear if you visited any of these amazing places.